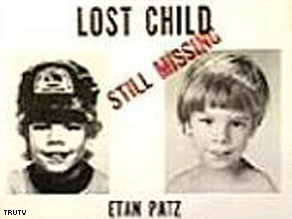 Etan Patz, who disappeared in 1979, was the first missing child featured in the milk carton campaigns of the 1980s. His was the first face of a missing child to appear on the back of a milk carton. Now, nearly 31 years to the day that Etan Patz vanished from a New York street, authorities are re-opening the case. In an interview with CNN, the communications director for Manhattan District Attorney Cyrus Vance, Jr. confirmed that the office is taking another look at the decades-old mystery. “This was the disappearance of a child that gripped the residents of Manhattan and continues to leave many questions unanswered,” Duggan added. Etan was never seen alive again. According to Cohen, Jose Antonio Ramos was identified as a prime suspect in 1988. But the convicted child molester has never been charged in connection with the case. Ramos initially told investigators that he was “90% sure” that a boy he had taken home on May 25, 1979, was Etan, Cohen said. Ramos has since denied making that statement, Cohen added. Cohen said Etan’s father contacted her Wednesday after the news was announced that the prosecutor was re-opening the case. “He said ‘maybe we’ll finally get our day court,’” she said Stan Patz told her. From families and detectives to people in the missing children movement, this case changed everything, Cohen said.